I have always had a fascination with whales and the ocean. I feel drawn and connected to the beauty and grace of the killer whales. I have always been drawn to them ever since I was a young. I have always dreamed of seeing them in the wild. As a film student, I had the opportunity to intern with Canadian filmmaker, Rob Stewart, director of Sharkwater. I learned a lot working with his production team in Toronto on his new film, Revolution. I learned how a film can have a big impact on people’s views of the world and also how it can be a catalyst to bring about change. Greatly moved by Alexandra Morton’s book, “Listening to Whales”, I was inspired to make a difference and draw attention to the endangered killer whales off northern Vancouver Island. 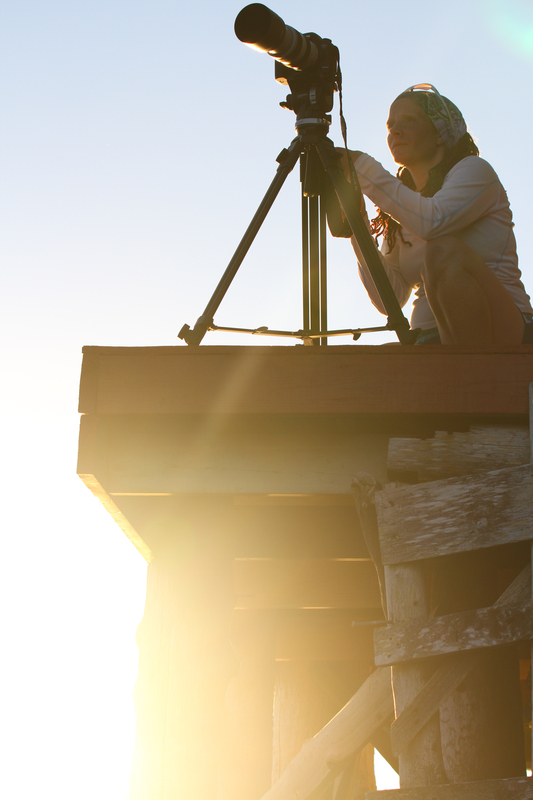 And so, I set out to shoot my first feature length documentary “An Orca Whale Documentary” during the summer of 2012. 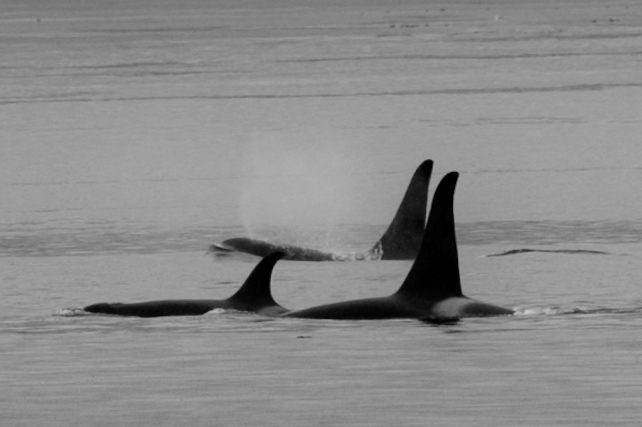 Working In cooperation with OrcaLab, the whales were filmed during the summer months on the Johnstone Strait. I filmed the whales while they were resting in the morning fog and I also filmed them being chased down and surrounded by boats on a daily basis. Sometimes it was hard to watch the extreme amount of human impact on the whales. My intention for this film has evolved to show how much we as humans have an affect on the health and wellbeing of the whales and of the eco system. 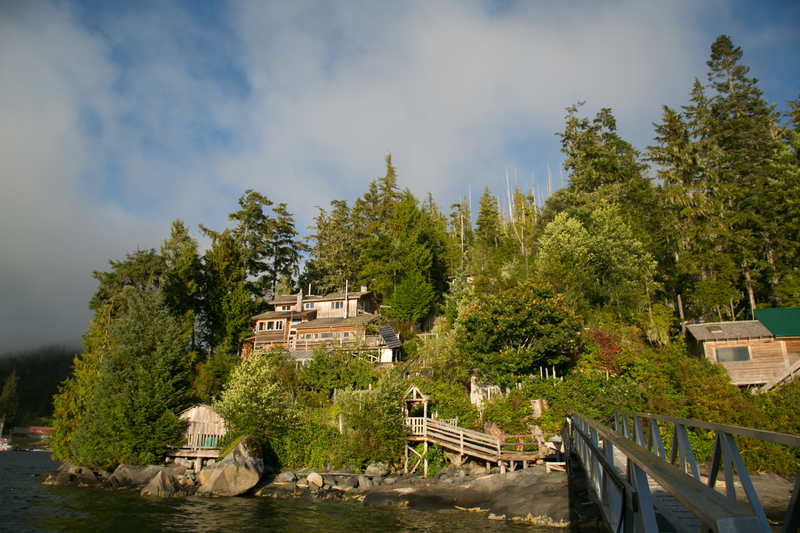 After the summer season, I got in touch with the Salmon Coast Field Station in Echo Bay. I was invited to volunteer and film at the station for a few days. It was uplifting to see how Salmon Coast operates and to see how passionate they are to protect the wild salmon and eco system in the Broughton Archipelago. I interviewed Scott Rogers about the research that has been on-going at the station, and I also interviewed the iconic Billy Proctor who runs the museum in Echo Bay. Billy has such a strong passion for the region and it was such a treat to spend time with him and listen to his stories. He took me to where his childhood home was located near Flower Island and told me about his life growing up in the area. The people who I have met in the Broughton Archipelago have a deep respect for the marine life and the natural world. Coady and Zephyr work and live off the land as much as possible. They were very welcoming and made me feel at home during my time at the station. I enjoyed spending some time with Salix as well…she has the ability to light up the room with her smile. After spending time at the station, I was so delighted to meet my long time role model Alexandra Morton and do an interview with her at her home on Sointula Island. She spoke to me about her passion for the work that she does and why it is so important. Most of Alexandra’s research has pointed to “salmon farms” causing a disturbance with toxic waste, and the use of antibiotics causing harm to the ocean and the eco system. She has found a connection to sea lice being found in wild salmon in high numbers very close to the salmon farms. For these reasons she is taking a stance against salmon farm production in Canada. She wants to protect the ocean and the ecosystem that surrounds her. I strongly believe in Alex and her work. I am grateful for the opportunity of visiting Salmon Coast and for all those whom have inspired, guided, and supported my journey in creating “An Orca Whale Documentary”. I will remember my time there fondly. I look forward to weaving together the footage gathered during my time at there and giving a voice to the stories shared. The film is set to be released in 2013.